LIBRA is operating Interstate Services in 6 states viz. Punjab, Haryana, Delhi, Jammu & Kashmir, Uttar Pradesh, Uttarakhand and Rajasthan. The Libra is operating about 81 Interstate Routes. 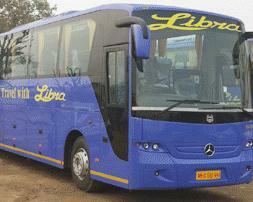 LIBRA is providing an efficient, comfortable, reliable, economical and properly coordinated bus services to the passengers of Punjab and adjoining states.